B. 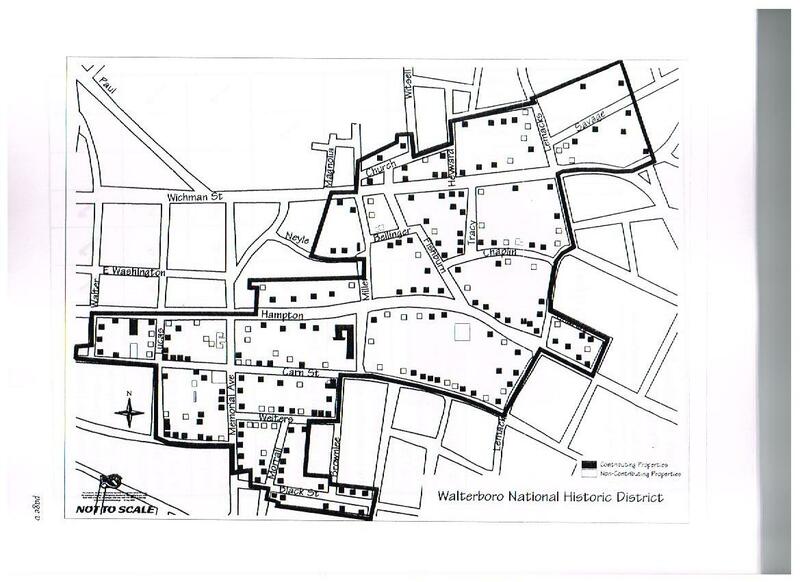 While any and all citizens of the City of Walterboro are encouraged to participate, those with a specific interest in historical preservation, architecture, and/or education will be given first consideration. Should a professional from the noted fields not be available to serve, City Council may appoint the next most qualified individuals. City residents shall be considered first for positions on the Historic Preservation Commission. Should a qualified city resident not be available to serve under any of the categories, City Council may appoint a non-city resident. C. None of the members may hold any other public office or position in the City. D. Members shall serve a term of two (2) years. Terms shall be staggered, so that the terms of three (3) members shall expire in each odd-numbered year, and terms of two (2) members shall expire in each even-numbered year. E. Members shall serve until their successors are appointed and qualified. F. A member who replaces another member in mid-term shall serve out the remainder of the term. Commission members may be appointed to succeed themselves. G. Newly appointed members shall have voting privileges beginning with the first regular meeting after their appointment. H. Members may be removed at any time by City Council. I. Members shall serve without compensation. Reimbursement for actual expenses incurred in the performance of official duties may be reimbursed from budgeted funds pursuant to reimbursement policies and procedures for employees of the City with prior authorization of the City Manager. Appoint a secretary, who may be a City employee designated for this purpose by the City Manager. Adopt rules of procedure in accordance with the laws of the State of SC; and the Code of Ordinances of the City of Walterboro. the chair or, in the absence of the chair, the vice chair may administer oaths and compel the attendance of witnesses by subpoena. B. Meetings of the Commission shall be held monthly if there is business before the Commission. Additional meetings may be held at the call of the chairman and at such other times as the Commission may determine. A quorum, consisting of a majority of the seated members of the Commission, must be present for the conduct of business. C. Commission members need to have appropriate knowledge and understanding of historical preservation issues. The Historic Preservation Commission shall promote the purposes and objectives of this Ordinance by exercising the following powers and functions. B. Review plans and applications, as hereinafter provided, for all exterior modification visible from the street, to structures and all new construction within the areas regulated by this Ordinance. A. Establish and maintain a list of those Cultural Resources determined by the Commission as being historically significant. The Commission shall also publicize and periodically update this Historic Resources Inventory. B. Give notice to the owner of the property being considered for inclusion on the Inventory, and if included, mailed notice of the decision shall be provided to said owner. Appeal to the City Council by any party may be filed within 10 days of said notice. j. Has yielded, or may be likely to yield, information important to prehistory or history. f. The majority of the properties represent the works of notable builders, designers, or architects. 1. A Historic Landmark or Historic District may be nominated by the City Council, the Historic Preservation Commission, the Planning Commission, the owner of the building(s) or structure(s) to be designated or by an established community-based organization whose purpose is to promote historic preservation. a. Any Nomination for a Historic Landmark or a Historic District must initially be brought before the Historic Preservation Commission. 2. No city permits shall be issued for any reason while a Historic Landmark or Historic District Nomination is pending, except for ordinary maintenance and repair that does not diminish the integrity of the Cultural Resource. 1. Notice of the date, time, place and purpose of the hearing before the Commission shall be given in a newspaper of general circulation not less than 10 days nor more than 30 days prior to the date of the hearing. 2. For a Historic Landmark, a Nomination Notice shall be mailed to the owner(s) of the property being considered and to property owners within a 300 foot radius of the Nominated Resource, not less than 10 days prior to the hearing date. 3. For a Historic district, a Nomination Notice shall be mailed to the owner(s) of property within the potential Historic District, not less than 10 days prior to the hearing date. The Commission shall hold a public hearing to discuss the matter. If the Commission votes in support of a Historic Landmark or Historic District designation at the hearing, it shall forward a recommendation to the City Council for the designation of the Nominated Resource(s) as a Historic Landmark or Historic District based on the criteria set forth in this Section and the facts presented in connection with the application. 1. A Historic Landmark or Historic District shall be designated by a numbered resolution of the City Council. The Council shall consider the facts and findings submitted in the Commission's recommendation. 2. 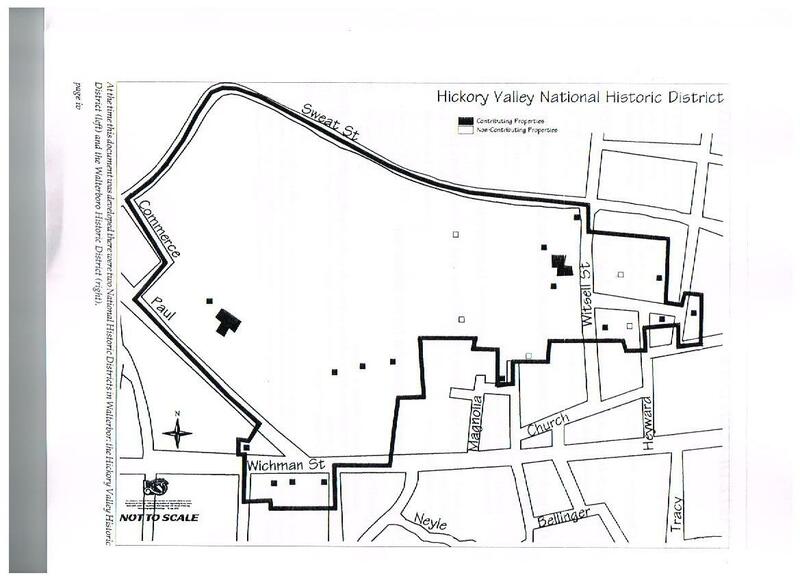 Each such designating resolution shall include a description of the characteristics of the Historic Landmark or Historic District which justify its designation, a description of the key features that should be preserved, a description of the location and boundaries of the Historic Landmark or Historic District (including assessor parcel numbers) and a map. A list of all Contributing Resources in a Historic district shall be included with the designation resolution. 1. Staff shall transmit a notice of the resolution to the owner(s) of the designated Cultural Resource. 2. Staff shall also cause a copy of the designating resolution to be recorded in the office of the Register of Deeds. 3. Notice of the designation shall also be transmitted to the departments of Planning and Codes, Public Safety, Public Works, the Assessor and the Recorder of Colleton County, and any other interested departments and governmental and civic agencies. 4. Each city department and division shall incorporate the notice of designation into its records, so that future decisions regarding or affecting any Historic Landmark or Historic District will have been made with the knowledge of the designation, and in accordance with the procedures set forth in this Section. 5. The Planning Department shall be responsible for keeping records of all Historic Landmark and Historic District designations. The City Council, after recommendation of the Commission, shall consider a repeal or amendment of a previously approved Historic Landmark, Historic District or Contributing Resource in a Historic District designation in the same manner provided by this Section for the designation of the Historic Landmark, Historic District or Contributing Resource if it no longer meets the designation criteria. A. Approve, approve with conditions or deny applications for a Certificate of Appropriateness as provided for in Section 11.5. B. Prepare and recommend for City Council approval design guidelines for the review of an application for a Certificate of Appropriateness. C. Act as an advisory body to the Planning Commission on design review actions that are final with the Planning Commission and do not require a Certificate of Appropriateness, but which involve Historic or Cultural Resources. NOTE: Section 106 (16 U.S.C. 470f) The head of any Federal agency having direct or indirect jurisdiction over a proposed Federal or federally assisted undertaking in any State and the head of any Federal department or independent agency having authority to license any undertaking shall, prior to the approval of the expenditure of any Federal funds on the undertaking or prior to the issuance of any license, as the case may be, take into account the effect of the undertaking on any district, site, building, structure, or object that is included in or eligible for inclusion in the National Register. The head of any such Federal agency shall afford the Advisory Council on Historic Preservation established under Title II of this Act a reasonable opportunity to comment with regard to such undertaking. E. Render advice and guidance, upon the request of the property owner or occupant, on new construction or on the restoration, alteration, decoration, or maintenance of any Cultural Resource.